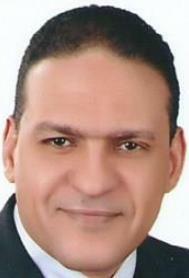 Dr. Mahmoud Rushdi Abd Ellah currently working as Professor of Clinical Laboratory Diagnosis at Department of Animal Medicine, Faculty of Veterinary Medicine, Assiut University, Egypt. He received his Ph.D. degree in 2003 in Veterinary Medical Science from same university. His PhD thesis entitled “Advanced techniques in diagnosis of liver affections in cattle”. He is serving as Editor-in Chief/Associate Editor/Editorial board member/Reviewer for many journals. He is also member of many organizations nationally. His prior work experience includes Demonstrator, Assistant Lecturer, Lecturer, Associate Professor of Clinical Laboratory diagnosis at Department of Animal Medicine, Faculty of Veterinary Medicine, Assiut University, Egypt. He also nominated as Visiting Researcher, Fellowship from Egyptian Government, Post-doctor Fellowship from Japan Society for Promotion of Science, Veterinary Teaching Hospital, Iwate University, Japan. He also received number of awards and honors including Recipient of Assiut University Encouraging prize 2010, Director of Quality Assurance Unit, Faculty of Veterinary Medicine, Assiut University, 2012, Faculty member at WebMedcentral and Marquis Who\'s Who in the World 2012 (28th Edition).